As a person who was born and bred in Sarawak, I was quite embarrassed whenever non-Sarawakians asked me if I had been to Mulu. After all, it is just an hour's flight from Miri, and Miri is just next door to Bintulu. So for our 10th anniversary last month, we decided to get acquainted with Mulu. And there is no better way to celebrate our 10th wedding anniversary other than kick back in style and experience luxury stay-cation at Mulu Marriott Resort & Spa. When we arrived at Mulu Airport, we were immediately whisked away to the resort on a charming open-window tourist bus complimentary from Mulu Marriott. Our Mulu adventure had begun! We were greeted by friendly staff who handed us cold drinks and towels to freshen up after our early morning flight. There was a little bit of a glitch with the credit card terminal at the resort, but the lady staff quickly assured us that it was no trouble at all since our booking was made via Booking.com (I was initially quite worried because I didn't bring sufficient cash to cover for hotel bills should there be any problem with the credit card charge). While I was preoccupied with checking in, our kids were entertained with a complimentary colouring book and kit that came in Marriott pouch bag. How thoughtful of them! 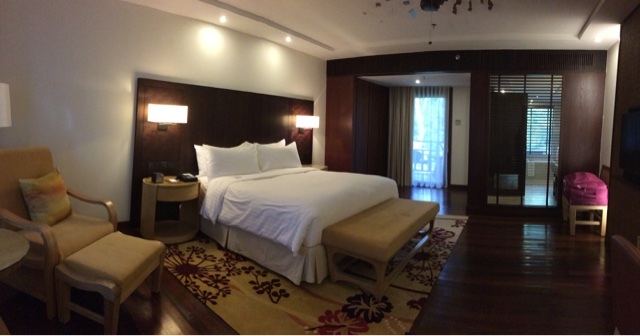 After we checked in, we were accompanied to our room which was just a 100m away from the lobby. 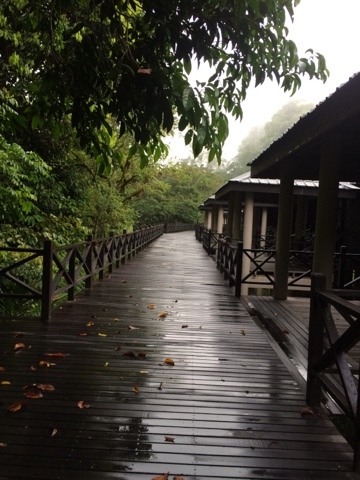 The lush forest surrounding the resort gave away a sense of calm and serenity, as we prepared to get disconnected from the rest of the world (there is no Wi-Fi available in all rooms, while mobile network is also limited). We truly felt that we were on vacation at this point. Stepping into the room, we couldn't help but marvel at the ornate room that we called our home for a couple of days afterwards. Nothing is spared to go 'au naturel' with the resort surroundings in the interior of the room, from the furnishings that are accented with 'belian' (local hardwood), to the carefully orchestrated hues of natural colours used in the room. The result? 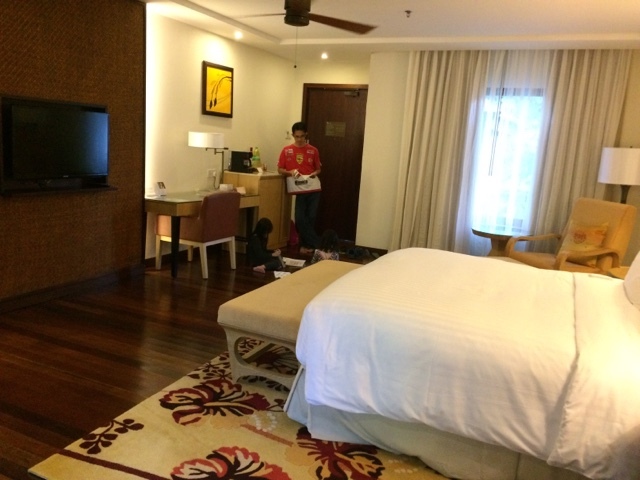 A handsome, modernly-furnished room that deserved the five-star rating of the resort. 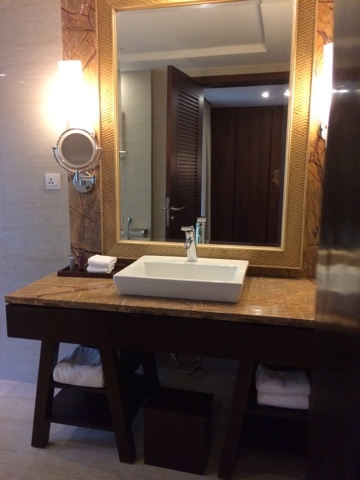 When it comes to amenities, everything that is offered at a five-star resort in the heart of a city is also available in Mulu Marriott Resort & Spa. 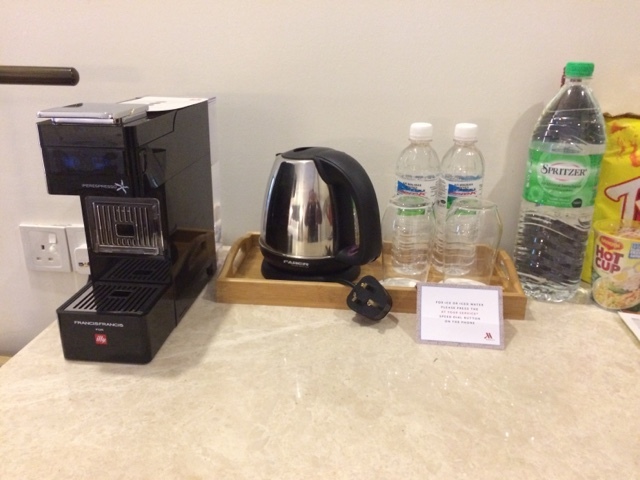 We loved the modern coffee machine to unwind, and the refreshing rain shower in the bathroom after a hard day exploring the famous Mulu caves. 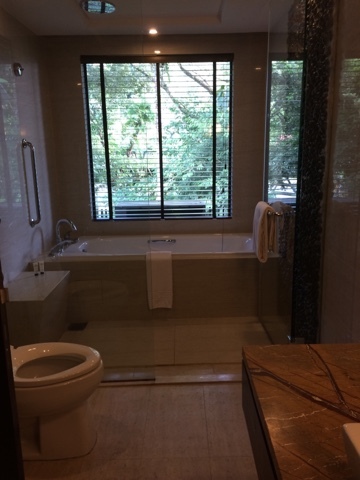 Love the simplicity of the bathroom design. Soak up in warm bath after a long day discovering Mulu rainforest, or freshen up under the rain shower before going off on the next adventure. Both are available. Tea (and coffee) making facilities. 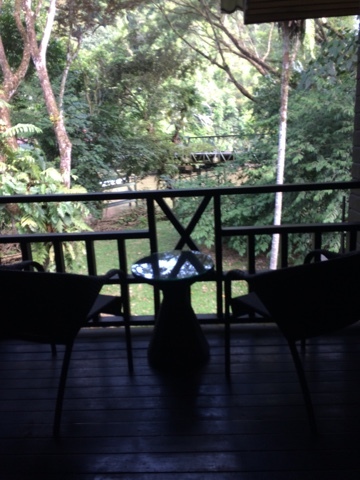 I would also highly recommend those going to stay at Mulu Marriott Resort & Spa to sign up room package with breakfast. Although their breakfast spread is rather limited (don't expect to see egg station here), the food is marvellous. Probably we survived the long walks and tiring climbs in the caves thanks to hearty breakfasts we took here. And what is a resort stay without sampling the spa? After 2 days of adventure in Mulu National Park, a 2-hour spa session at the famous Mandara Spa helped me to restore my energy and of course, rubbed off muscle soreness. The lounge area where guests could relax and use the Wi-Fi facility, which we didn't use because we loved our room more. 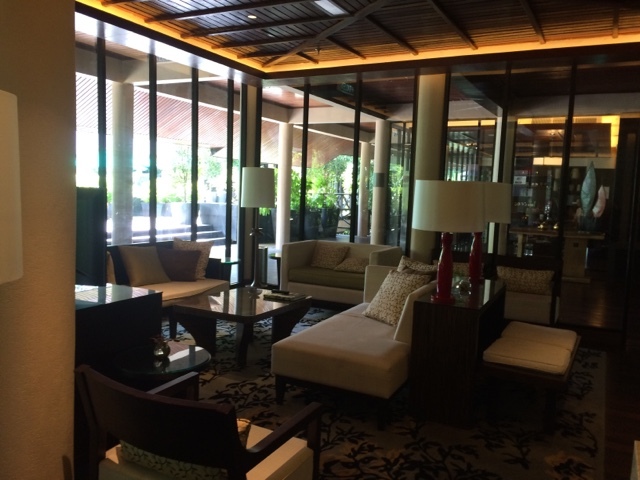 All in all, Mulu Marriott Resort & Spa is definitely worth our time and money. 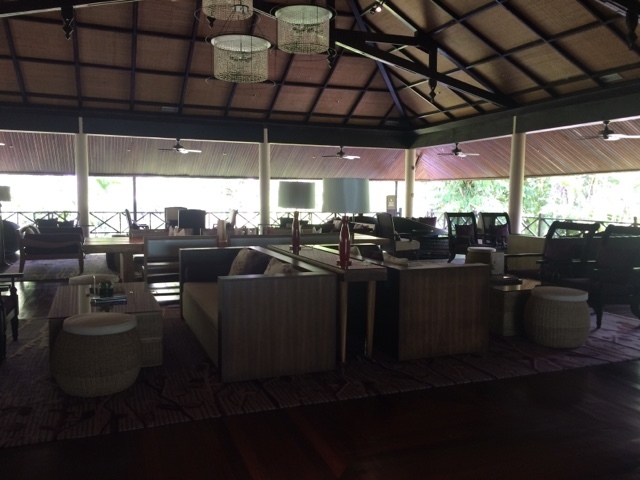 The facilities, surrounding and hospitality of the staff deserved nothing but praises from us. We certainly look forward to be their guests again in the near future.